Whether you are off camping, commuting, or just enjoying a little time to yourself at home, there isn’t much that is more relaxing than kicking back and listening to the radio. It’s time that has been set aside for you, and there isn’t much better than that. Of course, if you are on the move, there is always the risk of the batteries running out. A rechargeable DAB radio means that you can recharge the batteries while on the move, as well as access all of the stations you love due to the digital wavelengths. Much of the time, they are also very portable, which is part of what makes them so good for travelling or camping trips, and it means that you never have to miss another radio show or sports match again. We know how important it is to stay in touch with the outside world, and we hope that a rechargeable DAB radio will be just what you needed. It’s not always easy to know what to choose or which brands are best, but we are here to give you a hand with things. 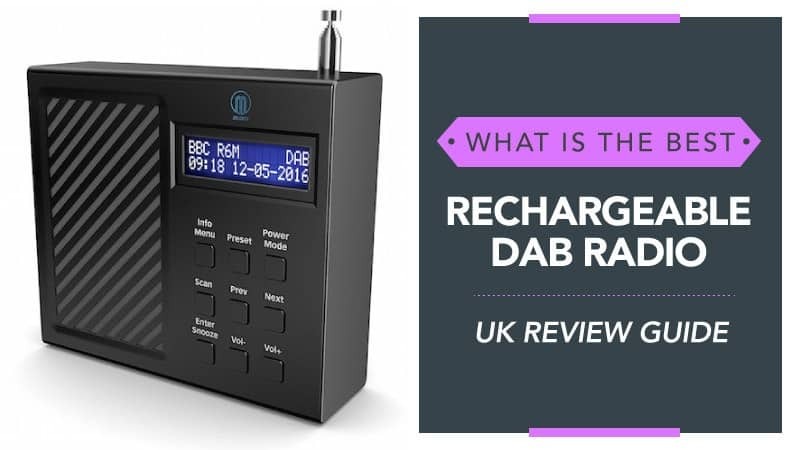 In order to help you find the best rechargeable DAB radio, we have put this guide together, compiling all of the relevant rechargeable DAB radio reviews in one place, so you can find the best one for you. What is a Rechargeable DAB Radio? There is not much separating a rechargeable DAB radio from a regular one, with the main difference being that these ones can be recharged at any point once the batteries run out of juice. Some of them have a built-in rechargeable pack that you can plug into the mains or a power bank, whereas others require removable rechargeable batteries (which are widely available). Everything else remains the same, from the quality of the sound to the kind of stations that are available. Now that we’ve talked about rechargeable models, you might be wondering what exactly a DAB radio is, and the explanation is actually surprisingly simple. Now that you know a little more about these brilliant radios and how they work, check out the rechargeable DAB radio reviews below and see what you think. Roberts is a top brand when it comes to home appliances and electronics, so you know you are getting something that is likely to be good quality and reliable. For an excellent rechargeable DAB radio with Bluetooth, you might want to take a look at the reviews below and learn more about it. 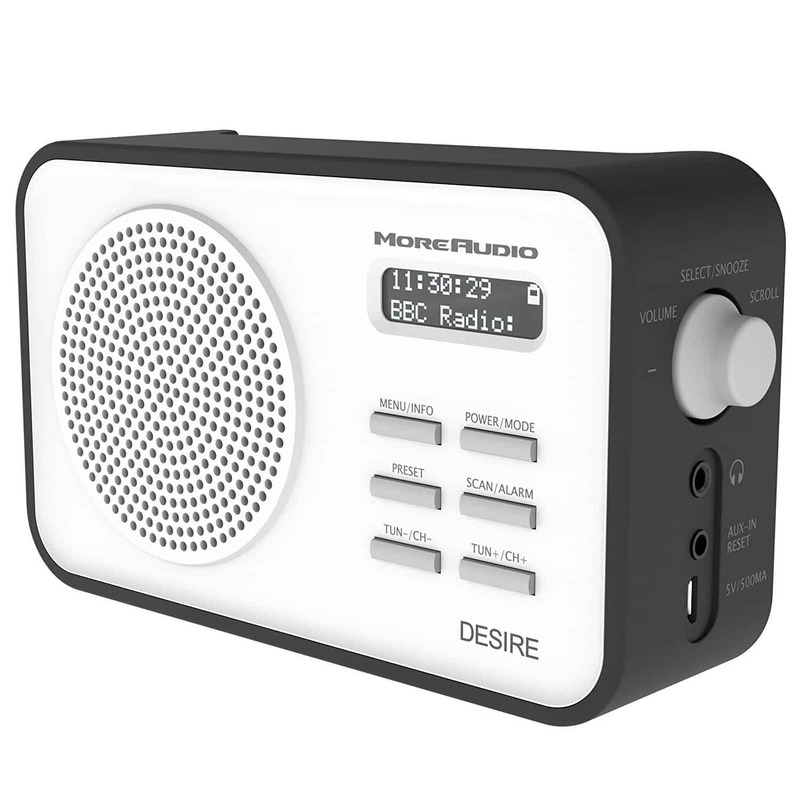 This great little DAB radio has a sleek and minimalist design that will blend in nicely with any home or aesthetics. It has a brilliant battery life that will last up to 16 hours – giving you all the time you need to listen to the stations you love the most. The sound is fantastic, with a bass that fills the room and can be easily adjusted using the controls on the device. It also comes with a sleek leather case. It can be paired with up to eight devices at any one time, giving you all the freedom you need to play the music you love when your stations aren’t broadcasting. You can even charge your phone using the radio, meaning that it will always be ready in emergency situations. It is fairly light considering its size, and can be carried around easily, so you will always have somewhere to play your tunes. Some customers feel that the bass could have been better for this model. This great little radio comes at a very low, budget, price that anyone will be able to afford comfortably. Plus, it has great sound quality, and while the bass may not be up to everyone’s standards, it is great considering the price and the size of this model. Plus, it can connect up to multiple devices using Bluetooth for easy streaming, and the controls are really easy to use. A simple model that is worth taking a closer look at. 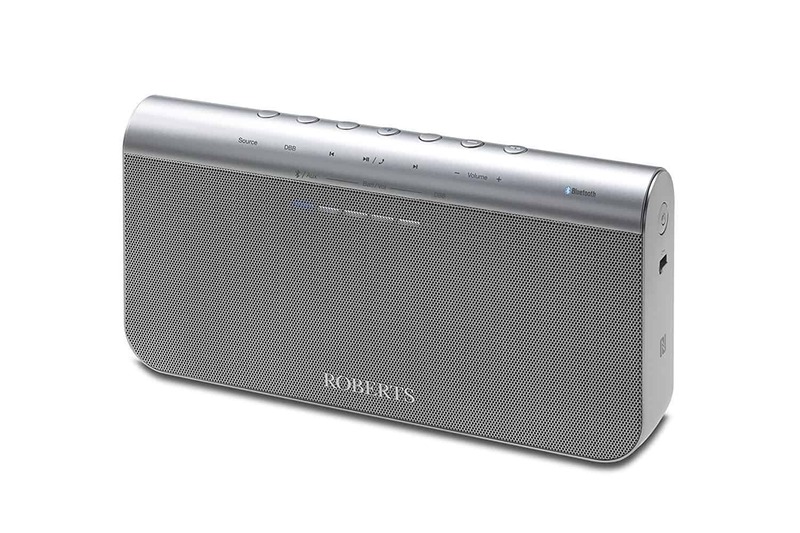 Another one from Roberts, this is the model to go for if you are in search of something that is small, compact, and ready to take on the day in style. It has everything you need to enjoy your favourite stations, so you might want to put a little time aside to read more information on it below. This great little radio comes in black, for a sleek and modern design that will both impress and ensure that it doesn’t stand out in your home. It even comes with a remote control so that you can adjust things to your liking from a distant. It features DAB, DAB+, and FM wavelengths so that you have full access at all times, and there are over 120 presets so that you never miss another show. You can stream music from your laptop using things like Spotify, ensuring that any gatherings you have leave people fully entertained. You can also use the AUX to plug your phone in for further streaming, and set the alarm on the radio to get you up in the mornings with something a little nicer than your phone alarm. There is even a handle on it to make transportation much easier. It doesn’t have any Bluetooth and does require software upgrades via Wi-Fi. 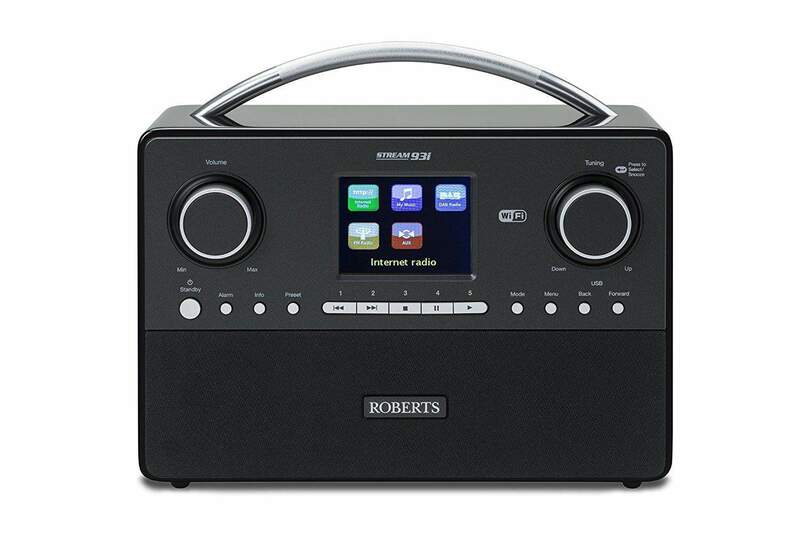 This great little DAB radio comes at a reasonable price and is a lovely size, so it won’t take up too much space in your home and is ideal for those with very little room. It doesn’t have any Bluetooth capabilities and does require upgrades via Wi-Fi, but these software updates help to improve it as a radio and ensure that everything continues to work smoothly. It has a fantastic range of controls and additional features that are sure to leave you entertained, and we know that you won’t regret picking this model up if you choose to do so. If you are in need of something that is both portable and rechargeable, this could have everything you need and a little more. Created by More Audio, it is one of Amazon’s top picks when it comes to radios of its kind, so it is certainly worth taking the time to read the reviews below and see what it’s like. This little radio comes in three great colours, allowing you to choose the one that suits your style and tastes best (although there may be price differences between the colours). It is a new and updated model that has DAB, DAB+, and FM wavelengths to ensure that you can enjoy everything the radio has to offer wherever you are. Plus, it is future ready to ensure that it stands the test of time. The rechargeable battery is built into the radio, and it lasts for ages before it needs to be charged up again. There are over 60 presets for you to choose from to make things easier and more convenient for you, and the controls are really easy to read and access. There is a headphone jack on the side for private listening, and the overall sound quality is superb no matter how you are listening to it. The instructions are quite poor and not the easiest to follow. This portable DAB radio comes at a low price that anyone can afford, making it one of the most ideal budget models around. Plus, there is even a little port to plug your phone or laptop in for streaming among other additional features. The instructions are tricky to follow, which can be frustrating, but once you have everything under control, it is well worth the hassle you had to go through. It really does make for the ideal radio, and has everything you need (and more) to enjoy the station you love as well as your favourite tunes. It’s not one to miss. Here are some further models of rechargeable DAB radio, just in case the ones above do not quite meet your requirements. 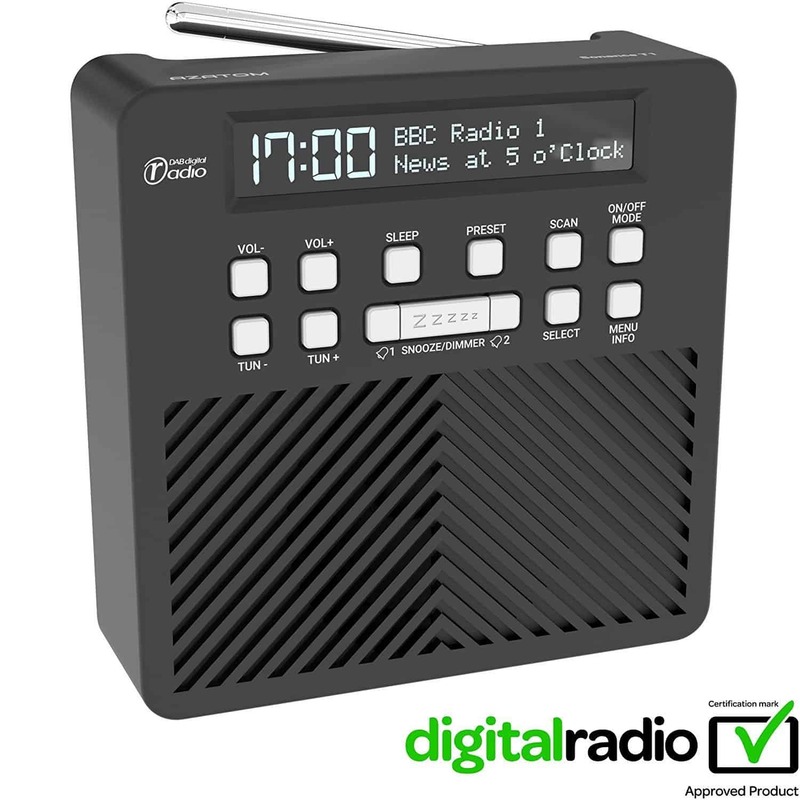 This DAB radio comes at a low and affordable price, and is also rechargeable – meaning that you save money on batteries and don’t have to throw so many away. Everything from the brightness to the clock format is fully adjustable to make life easier for you, and also to ensure that your radio is just the way you want it. You can also set an alarm that will wake you in the morning with your top radio station, and there is a snooze button for those lazy mornings. There is the option to set a preset, and it is also portable so that you can take it with you wherever you go. Plus, the sound quality is great. 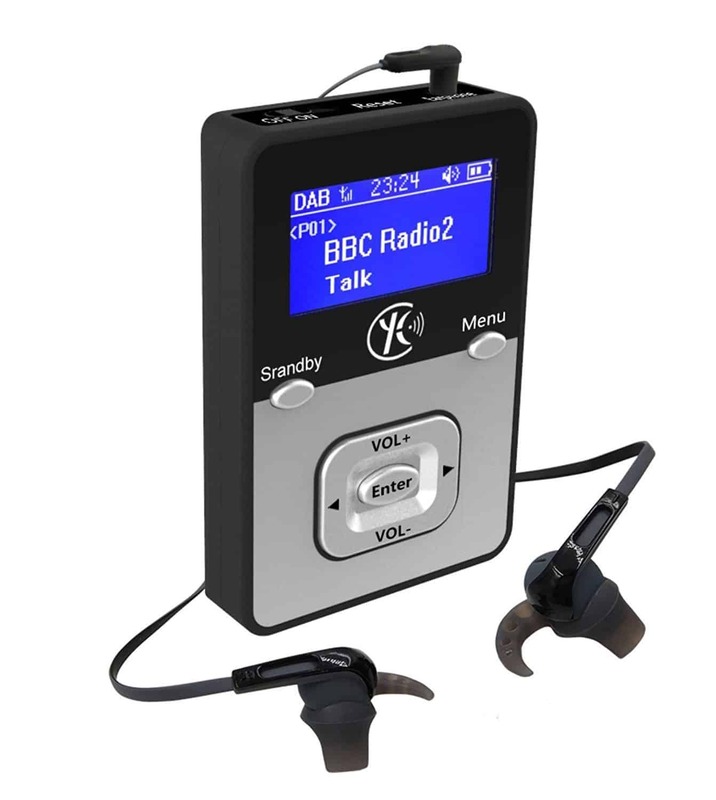 This little DAB radio is completely portable, and is small enough to slide into your pockets when it is not being used. There is also a headphone jack so that you can plug in and listen with complete privacy while commuting or just hanging out at home. The rechargeable battery has a quick charging period and can give you 12 hours of playtime, which is more than enough. There is also the option to save up to 60 presets, and you get access to DAB, DAB+, and FM radio stations so that you have full coverage at all times. It comes at a really affordable price, and all of the controls are clearly labelled and easy to use. Hopefully, this guide has helped you to find the best rechargeable DAB radio, and that they have given you a little more information of what to choose and which model is going to be right for you – whether you want it for home or travel. We have picked some fantastic models for you to look through today, each of which I rechargeable to make life easier for you – so you can take your radio on camping trips, road trips, or even on your commutes to and from work. We have gathered a number of trusted and reliable brands to ensure that whatever you choose is excellent quality, and we have also made sure that a selection of prices is available, allowing you to find something that fits your budget perfectly. We know you will find your perfect match here. What did you think of our rechargeable DAB radio guide? Are there any that you would have liked to see or recommended? We love hearing from you, so make sure to leave us a message in the comments below.